We are pleased to announce upcoming sessions of the HyPerio Study Club; an advanced learning initiative for dental hygienists. Registration fees include all five Study Group dates and a light dinner at each event. Please inform us of any dietary restrictions at the time of registration. Dr. Anastasia CholakisDr. 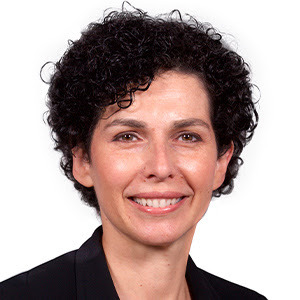 Anastasia Kelekis-Cholakis obtained her BA from the University of Winnipeg in 1998 and her DMD and Diploma in Periodontics from the University of Manitoba in 1992 and 1998. She also attended the Misch Institute Program in Implant Dentistry at the University of Pittsburg. Dr. Cholakis is a Fellow of the Canadian and American Academy of Periodontists, and Canadian Dental Association. Dr. Cholakis is the Director of the Graduate Periodontal Program at the University of Manitoba. She currently lectures nationally and internationally, has received numerous teaching awards, including the 2011 Dean’s Award for Academic Excellence. She has published articles in peer-reviewed journals , is a contributing reviewer for the “Journal of the Canadian Dental Association”, and has had a book published on peri-implant complications. She is the founder of the Women’s Dental Network, and a member of the Manitoba Dental Association Board. Her areas of interest are soft tissue plastic procedures and dental implant complications.